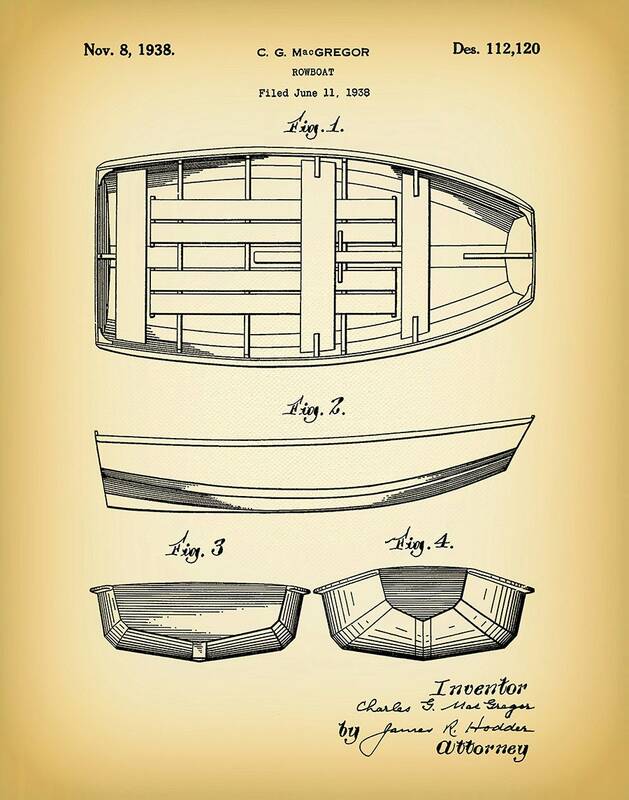 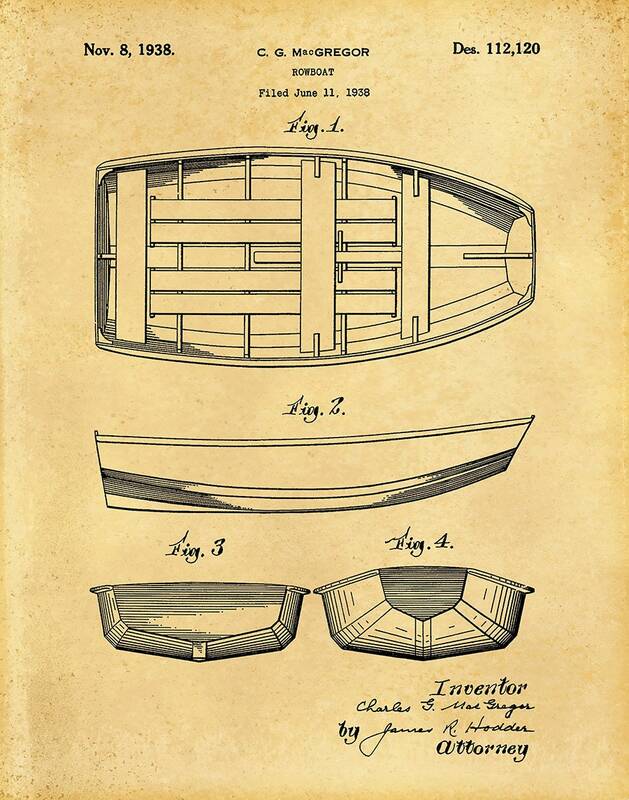 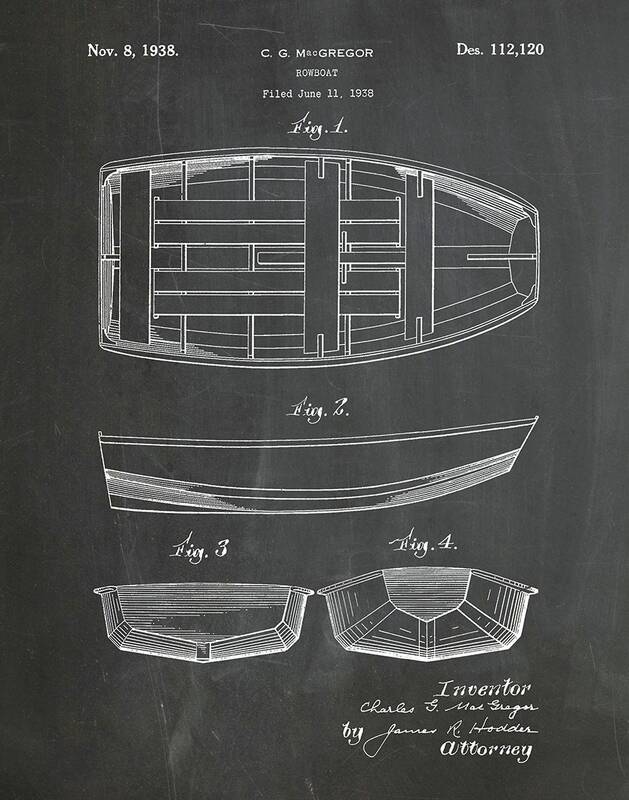 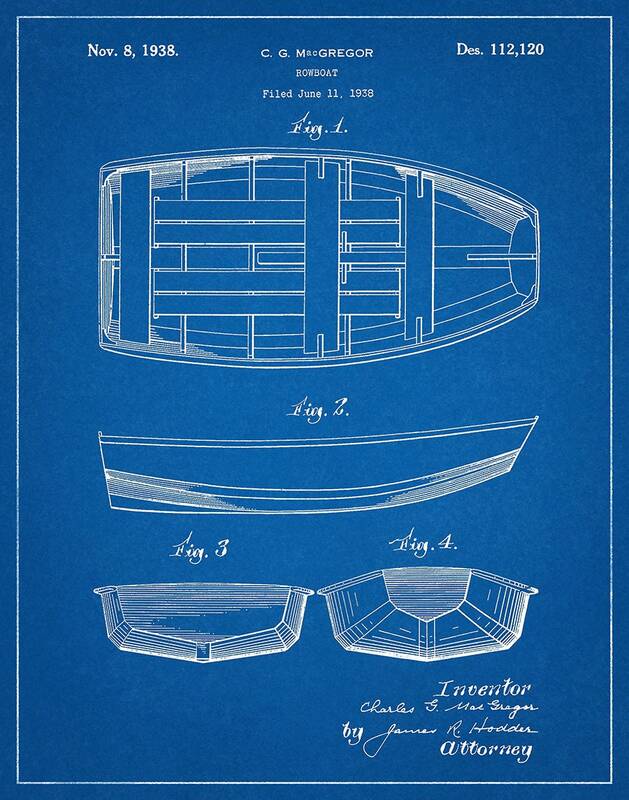 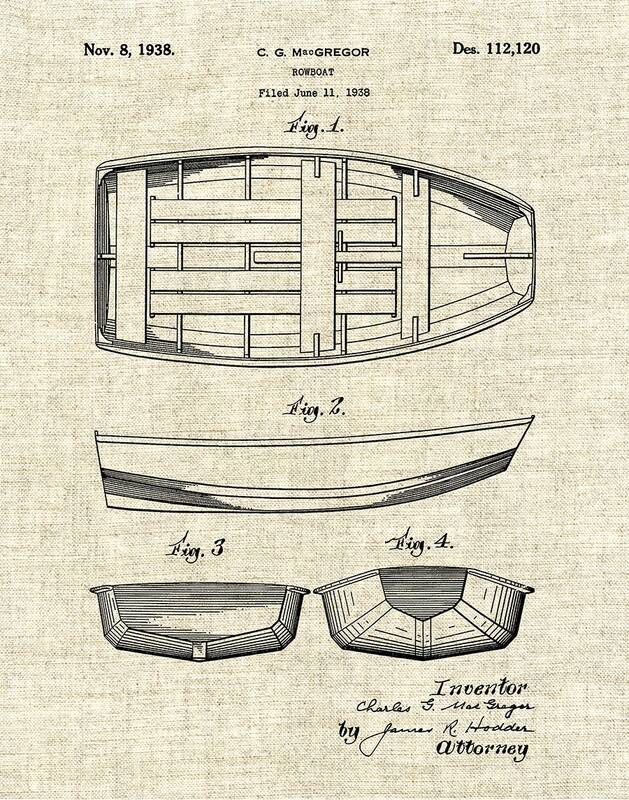 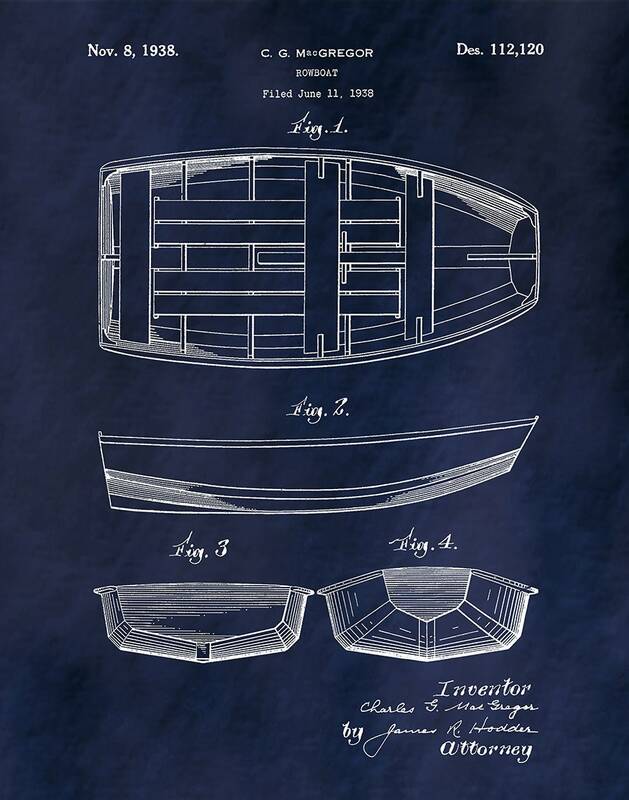 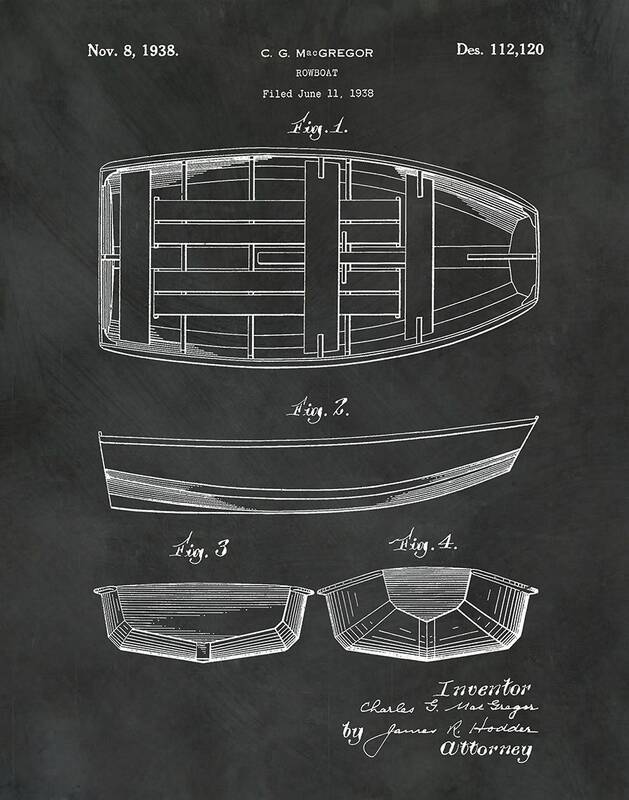 1938 Rowboat Patent Print designed by Charles MacGregor. 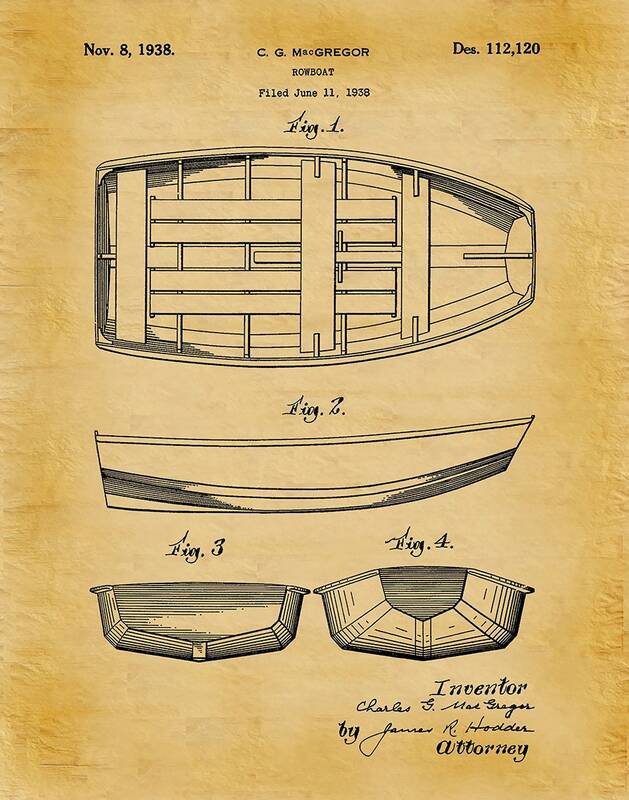 The United States Patent and Trademark Office issued the patent on November 8, 1938. 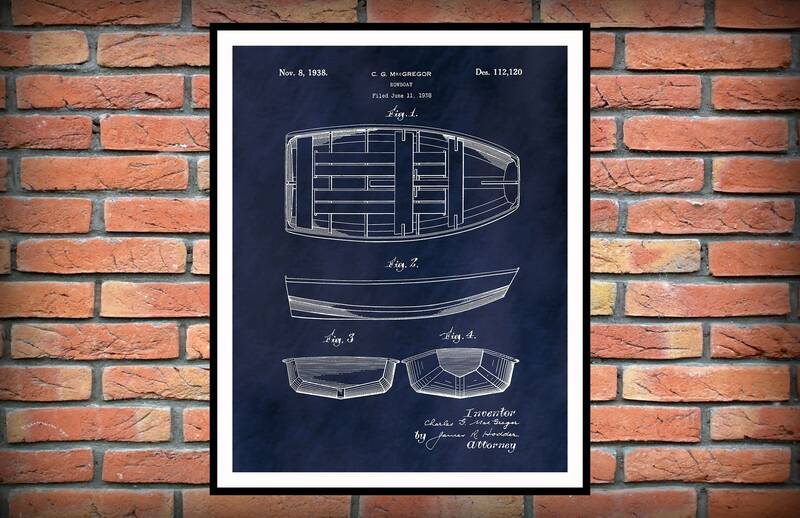 Note: Frame is for display purposes and is not included.